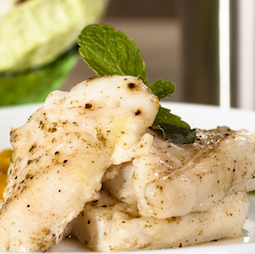 This cod fish recipe lifts cod to the dinner party level. The sharpness of the olives adds a piquancy that you just wouldn't believe. Serve it with plain vegetables so as not to detract from the sauce. A few buttered new potatoes, some green beans, courgettes and corn would be excellent with this dish. If you prefer, you could make some saute potatoes - use a mixture of olive oil and butter to fry them in. I parboil the potatoes, then slice them when they're cool. Heat the oil and butter mix until it foams, then add the potatoes. Stir frequently for about 10 minutes until the potatoes are crispy and cooked through. 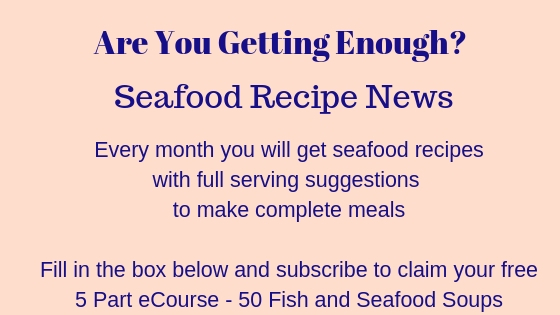 I have used monkfish and shrimp (prawns) with this sauce recipe as well. 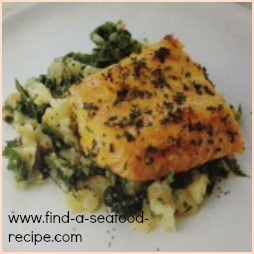 There are links to more cod dishes below. Heat your oven to Gas Mark 5, 375F or 190C. Heat 1 tbspn oil in a frying pan and fry the garlic, onion and pepper until softened. Add the olives and tomatoes and simmer for about 5 minutes - taste and season as necessary. Flash fry the cod with the remaining oil so that it doesn't distintegrate during the braising. Put the cod into a baking dish and cover with the sauce and sprinkle the parsley on top. Bake in the oven for about 20 minutes until the cod is cooked through. I like to add a dollop of cream on top of each serving and then sprinkle chopped parsley on top. 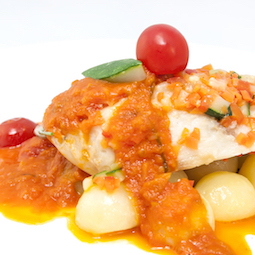 This baked fish recipe could be adapted for any fish - basa fish for instance - whatever is in stock on the day. There's no 'rules', it's your game! 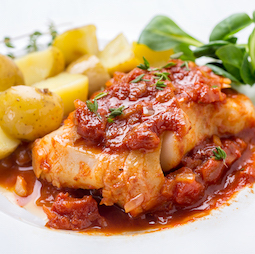 A simple method of cooking cod fillets or any white fish. Baked in the oven and in it own sauce - perfect.